In the U-District of Seattle there are a lot of good small Asian eateries. U:DON is one of them. The concept is simple. Fresh Udon, and then top it off with some nice sides, just like the shops in Japan. First off, you order your Udon. 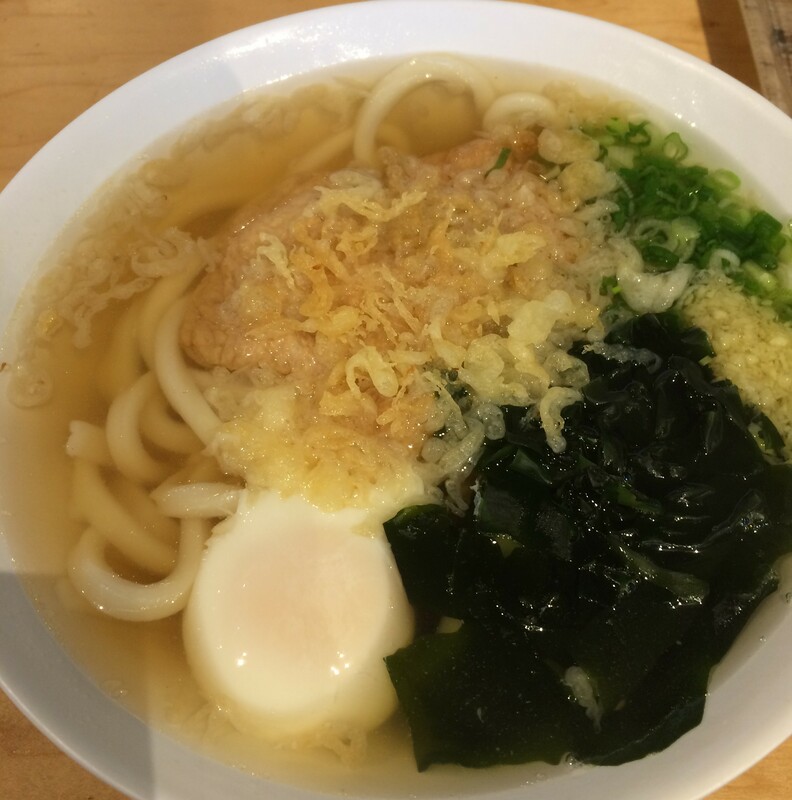 I decided to go for the Kitsune Udon, with the Sweet Bean Curd and also added a nice Onsen Egg as well. And I love to add the Fried Tempura bits to my Udon. 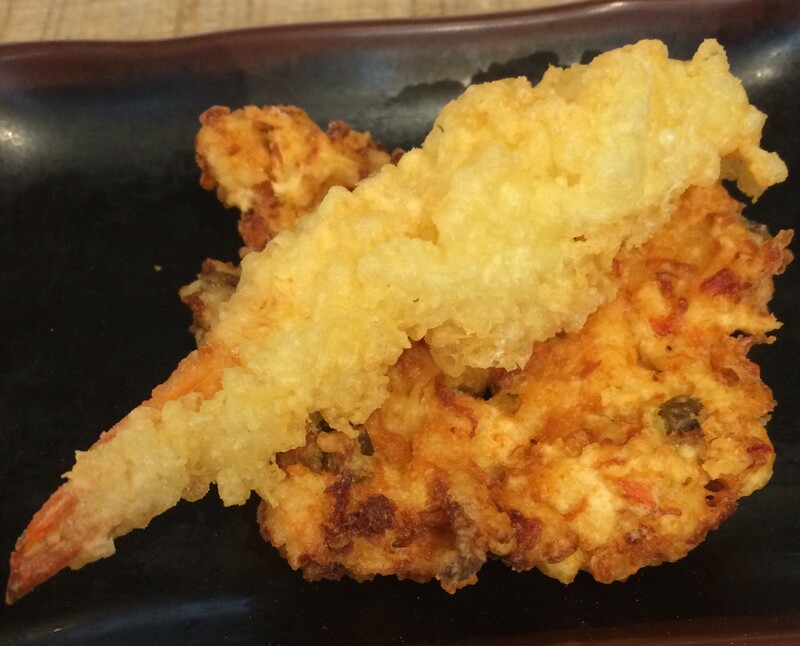 I added on a Prawn Tempura and a Crab Cake. Nicely fried, not too oily and fresh. Lovely fresh Udon. I would go back for sure! Posted in Seattle, UdonTagged Seattle, UdonBookmark the permalink.